Many of the great Regency family disasters had glorious foundations in the Georgian period. The Chichester family is one such example. They built their finest house, Fisherwick Hall, between 1766 and 1779 upon the foundations of a hall belonging to a long-gone Elizabethan family. Because the name Chichester was to live forever in Staffordshire glory, it made sense to tear down old Fisherwick Hall to make way for a more glorious (and everlasting) successor. “The building extends seventy feet each side of (the) portico, and the whole extent of the front is one hundred and eighty feet. The pilasters and decorations of the windows are of the Corinthian order, and the building is composed entirely of durable white stone. The Sketch goes on to relate the manner of Fisherwick’s interior design. Scagliola chimney pieces and statues filled the Hall, the drawing-room sported Monsieur Rigaud’s frescoes of Apollo and Ariadne, the library held a considerable collection of books, the halls were hung with Gainsborough paintings. Bonomi the Elder designed the furniture and Joseph Rose executed decorative plaster work. And finally, there was a large number of artifacts, some of which remained unopened in their boxes. 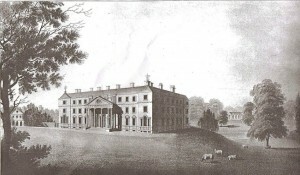 At the beginning of the Regency era, Fisherwick Hall represented the pinnacle of a family’s ambitions. 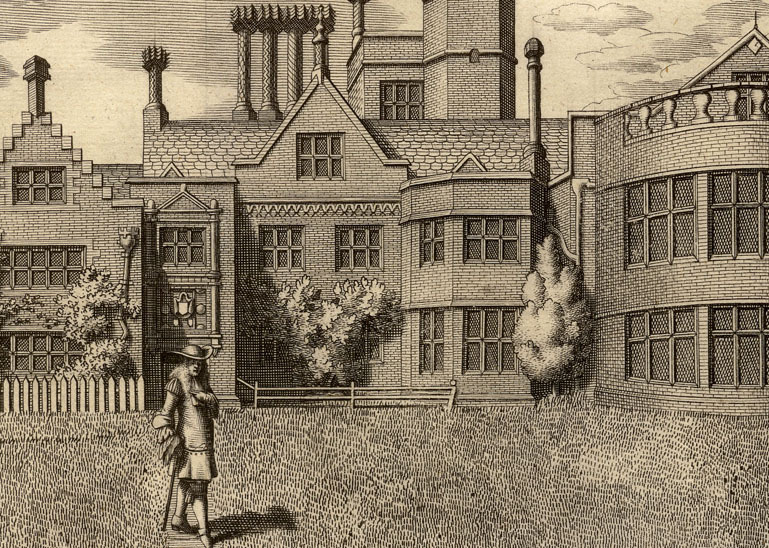 This entry was posted in Regency, Uncategorized and tagged Arthur Chichester, Capability Brown, Fisherwick Hall, Lichfield, Marquess Donegall, Queen Elizabeth virginal, Staffordshire by Angelyn. Bookmark the permalink.